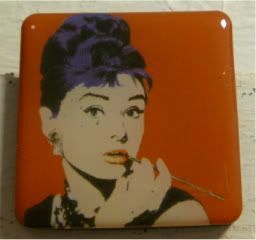 Love this Warhol pop art piece of Audrey Hepburn. C'mon, she's gorgeous in it. I read somewhere today that there's a new iWhatever app to help Andy Warhol yourself. I totes want to try it. But you know...when Android gets it because the Warhol Museum only released the app on iWhatevers. Incredibly annoying, given ya'll know how much I hate Apple anything. Yes. I know. Shoot me. 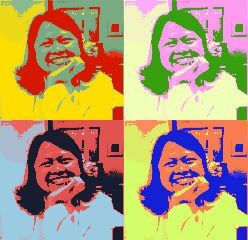 So instead, I Pop-art'd myself on Photobucket.